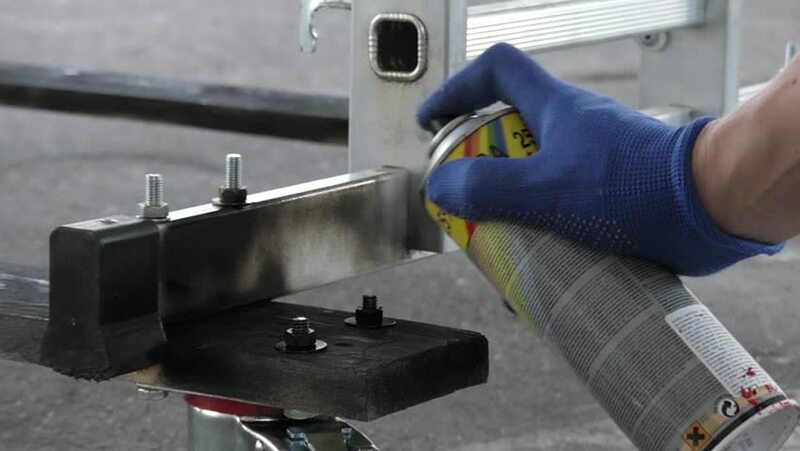 Black Spray Paint to Hand Paint a Wooden Structure. the Action in Slow Motion. hd00:11HAI DUONG, VIETNAM, January, 12: construction workers in the field.